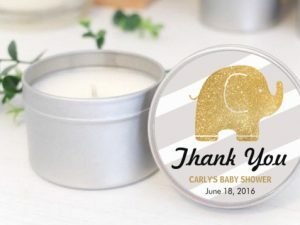 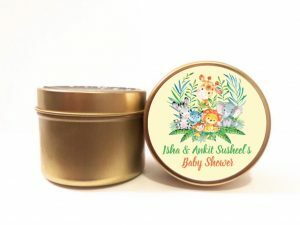 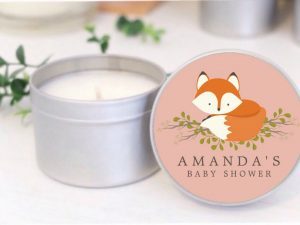 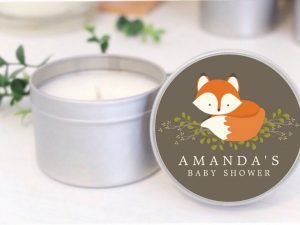 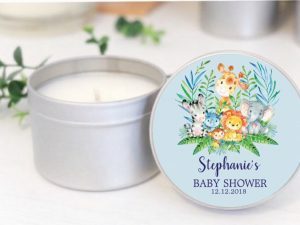 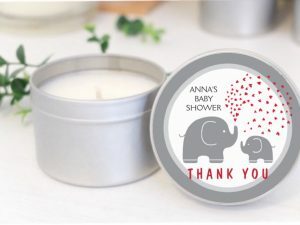 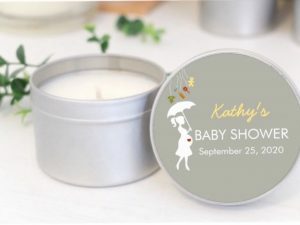 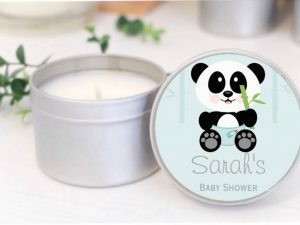 Mahina creates adorable Cute Candle Favors that are perfect for your baby shower. Made with only 100% Pure all natural Organic Soy wax & High Quality Fragrance oils. 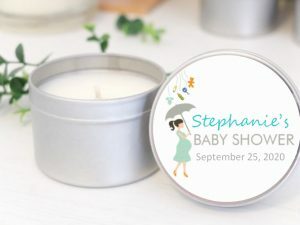 These candles favors comes personalized with your name and date of your party or due date on the label. 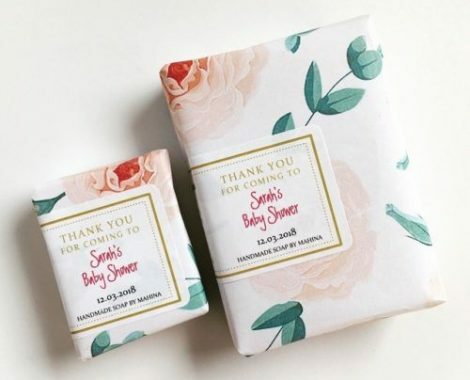 We can match your baby shower theme. 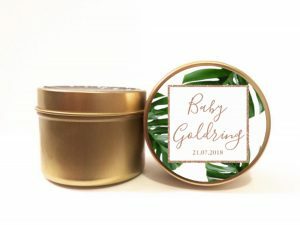 Available in gold and silver tins and 3 different sizes. 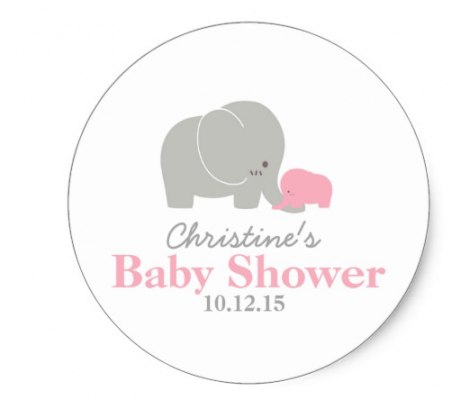 Enjoy a day spoiling the mum-to-be with a wonderful baby shower. Whether it’s a boy, a girl, or perhaps one of both, spread the word to family and friends with our lovely baby shower invitations.